A Premium Times newspaper report claims when asked of his whereabouts, the Information Minister, Lai Mohammed allegedly sated that the president was absent because he wanted to rest. The nature of his sickness is still shrouded in mystery as he has failed to disclose it to the general public. He however upon his return from his long stay in London, indicated he will be making frequent medical checks. 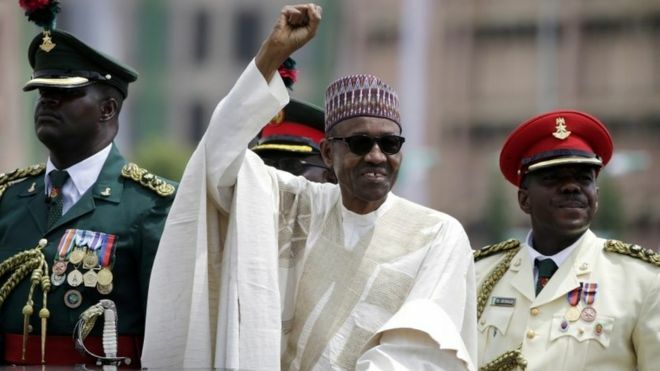 President Buhari's absence from today's meeting has fueled speculation about his state of health, the BBC's Chris Ewokor reports.